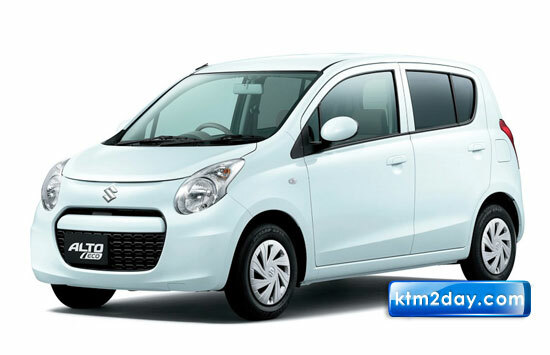 Maruti Suzuki, India’s largest four-wheeler seller, unveiled the much awaited entry level car Maruti Alto 800 in the Indian market on Tuesday. The Alto has been the largest selling car in India for the past 15 years; and in Nepal too, the car is among the most popular models. Despite having a huge fan following and loyal Maruti customers wanting to shift from their present models to the new Alto, Maruti Suzuki’s Nepal dealer, CG Automobile, said that the car would be available in Nepal only after six months. Maruti Suzuki has introduced three petrol models—the Alto 800 STD, Alto LX and Alto 800 LXI. They are priced in the range of IRs 244,000 to IRs 299,000. The company has also launched CNG variants in India. However, the Nepal market will see only three variants of petrol cars. According to CG Automobiles, the car will be competing with two other top sellers in the domestic market—the Hyundai Eon and the Hyundai Santro. “We are planning to introduce the latest variant of the Alto at the earliest possible. The Alto has been one of the best sellers in Nepal, and we are excited about its Nepal launch,” said Sunil Chhetri, deputy general manager at CG Automobiles. However, various issues like huge demand in the Indian market and fulfilment of export criteria will delay the car’s arrival in the Nepal market. The Indian media has reported that there were 10,000 advance bookings for the car even before its price was published. The entry of the new Alto 800 is expected to increase the Indian car brand’s penetration in the domestic four-wheeler market where it has got a good share in the entry level segment. Compared to the outgoing model, the new version is sportier, has more legroom and headroom and possesses advanced features like Dual SRS airbags, improved interiors with better quality, front power window, contemporary looking dashboard and many more. The car is superior to the preceding variant in terms of technology too. Powered by a 12-valve, 796 cc, three-cylinder engine, the new car from Maruti Suzuki’s stable has a capability to deliver a maximum power output of 47 bhp (an improvement of 3 bhp) compared to the preceding variant and 69 Nm of torque which is 6 Nm higher than the last model. Maruti Suzuki has claimed that the mileage of the new car is better too. According to the company, it offers a class leading mileage of 22.7 kmpl. The outgoing Alto model gives a mileage of 19.7 kmpl. The new Alto 800 will be available in five colour options—blazing red pearl, torque blue pearl, granite grey, white and silver. There are two interior colour schem-es—brown or grey. As for the price in the Nepal market, CG Automobiles is yet to make a formal decision. “We haven’t got confirmation from India regarding its price. We will set the price once we receive the export price from India,” Chhetri said. Despite the company’s refusal to comment on the price, the entry level Alto 800 is expected to cost around Rs 1.5 million.